A delightful, colourful and warm Bermuda welcome awaits visitors to Queen Street landmark and downtown souvenir store, Flying Colours. Just a two-minute walk from the Hamilton Ferry Terminal, it is hard to miss with the twelve flags representing countries from across the globe proudly rippling in the breeze from the windows of the pastel yellow three-story building. The same patriotism, pageantry, celebration, heritage and pride will be on full display during this month’s annual Bermuda Day Heritage Parade. This deeply cultural event proudly showcases the beauty of Bermuda and celebrates harmony and civic pride. Dancing and winding their way through the streets of Hamilton the Gombey Troupes will signify the end of the festivities for another year. 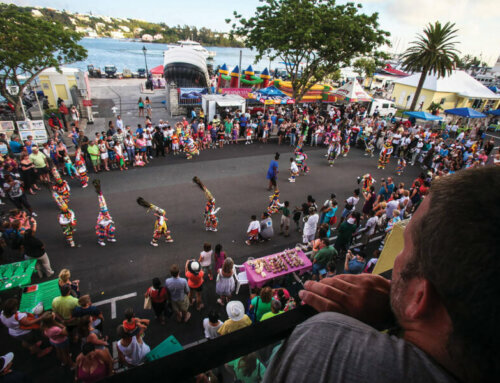 Every day at Flying Colours is a colourful celebration of Bermuda culture, fun and flair. For over three generations the Riihiluoma family has rolled out the pink carpet and welcomed visitors to experience their family friendly store and invite them to find a memento or gift to treasure as a memory of their unique Bermuda experience. Loved by locals and guests for over 75 years, Riihiluoma’s Flying Colours welcomes families to explore and have fun. Granddaughter and store buyer, Sarah Fields, enthused “I remember witnessing one of our young visitors lighting up and sneaking up on his family members after discovering a mechanical Sasquatch arm in the toy section. The family was in stitches. It is so wonderful to see a family bonding. 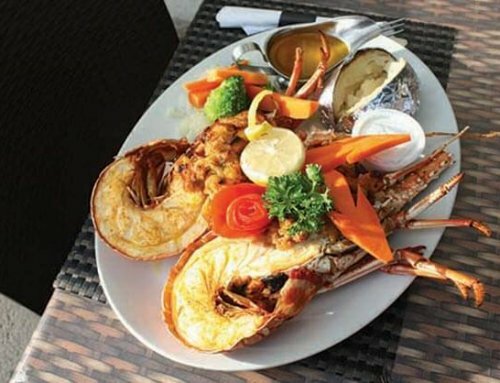 “Visiting Flying Colours is an authentic Bermuda experience, and a fun one! 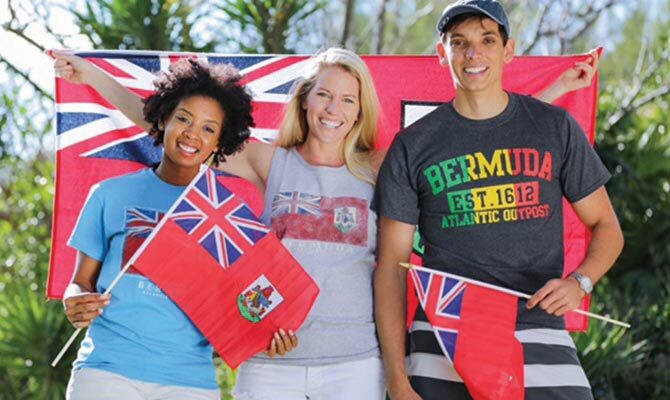 Boasting Bermuda’s widest selection of quality conversation starter T-shirts, gifts and souvenirs it certainly is an adventure, exploring and discovering the smallest knick-knack, special memento or hand crafted gift. With May 24th marking the first official day of summer for Bermudians it is time to picnic on the beach, join us for the first swim of the year in our stunning turquoise Atlantic Ocean waters, soak in the sun and take home your very own treasure.